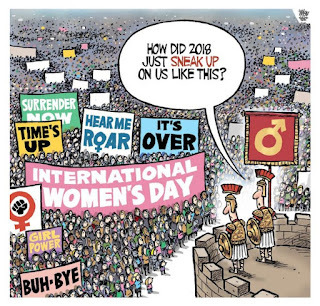 Theo Moudakis editorial cartoon for the Toronto Star, 3/7/2018. Reprinted but updated from last year. Women as planners and architects. From the standpoint of labor within the urban planning profession, on the land use planning side women make up a larger and larger proportion of the planning workforce, although directorships tend to be dominated by men. Although maybe the DC area is an exception given that plenty of articles opine about the need for more women in the profession ("Urban Planning Needs More Women," Rooflines). 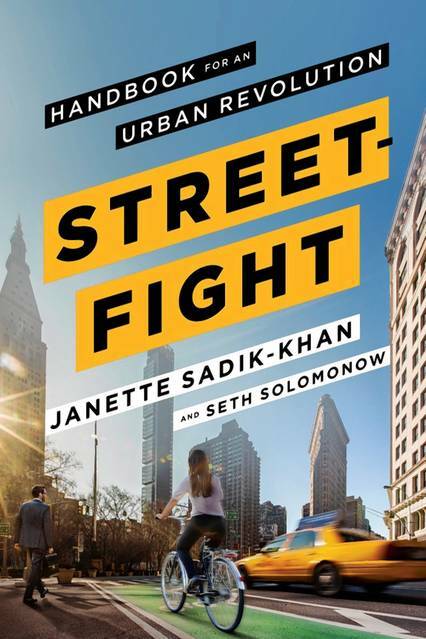 There are major exceptions, for example Jennifer Keesmaat was the planning director for the City of Toronto, Ellen McCarthy and Harriet Tregoning were directors of planning in DC, and Amanda Burden was the Planning Commissioner for the City of New York ("Social Planner," New York Magazine) while Janette Sadik-Khan was the Transportation Commissioner. Sadik-Khan was succeeded by Polly Trachtenberg. The transportation profession tends to be dominated by men still, as it is heavily engineering based, but that is changing too. There aren't too many women running transit agencies, especially large ones. The architecture profession remains dominated by men ("Challenged to change their industries' faces," Daily Journal of Commerce; "Where are the women in architecture?," Austin American-Statesman) although the landscape architecture field has plenty of women practitioners. Women and the history of the planning profession. One of the strands from which the planning profession in the US was birthed was out of women-initiated "good government" and "good places" initiatives in a time when women still didn't have the right to vote. One of the special interest sections of the American Planning Association is Planning and Women and the Women's Transportation Seminar is a professional development organization for women working in the transportation field. Women know best. The first night in Minneapolis, I dined at Cafe Brenda on walleye and wild rice, which, with blueberry muffins, constitute the trifecta of local cuisine. A stroll past sleepy blocks of warehouses evolving from red-light district to residential neighborhood led me to the banks of the Mississippi. Walking along grassy parkland toward the Falls of St. Anthony, I had the place to myself -- except for one woman jogging casually past me toward the horizon. When a city feels safe enough that a woman jogs along, alone, at dusk ... somebody is doing something right." 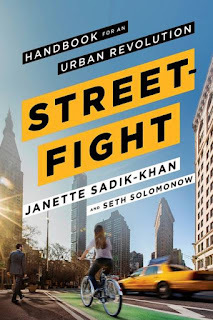 The presence of women as an indicator of what works and what doesn't in managing public spaces ha been discussed over the years in various writings on New York City's Bryant Park. Keith Bedford for The New York Times. A man and a woman: Minding the gender gap in Bryant Park. It was lunchtime at Bryant Park, and thousands of office workers were gathered beneath the emerald veil of trees. Ever since the park was renovated 13 years ago, it has been a remarkable space, and one of its most remarkable aspects is that the number of men and women is about equal, a balance that is carefully monitored as a barometer of the park's health. In 1980, when the space was rife with drug dealers and other scurrilous sorts, the ratio of men to women was about 9 to 1, said Dan Biederman, president of the Bryant Park Restoration Corporation. But when the park reopened in 1992, the comfort level of women was seen as key to its resurgence, which is why the park's designers paid special attention to accouterments that appeal to women, like bathrooms with full-length mirrors, kiosk food and flowerbeds. These days, the male-to-female ratio is just about even. And with this balance comes the possibility of triangulation, which Mr. Biederman defines with scientific precision as the tendency of an external stimulus to prompt strangers to interact. "If there's enough triangulation from things in the park," he said, "then people who don't know each other will break down and talk to each other." Transit, women and safety. Around the world women are harassed, even killed, in transit, India being particularly notorious. In a number of places, women-only taxi services have been created to provide safe transit. In the US, such services haven't fared too well. 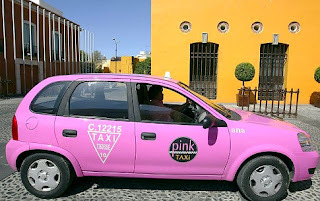 SheTaxis, a women-focused taxi service in Greater New York City, modeled after the service in Mexico City ("Mexico launches fleet of pink cabs - driven by women, for women," New York Daily News) which was launched in 2009, launched in 2014 ("New Service Offers Taxis Exclusively for Women," New York Times). SeeJaneGo, a ride hailing service catering to women, operating in Orange County, California, shuttered in January ("See Jane Go, a ride-hailing service for women, by women, says farewell," Orange County Register) although the website is still active. Professor Anastasia Loukaitou-Sideris of UCLA has authored a number of papers on bus stop safety. Many transit agencies have introduced anti-harassment programs. 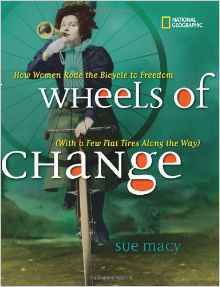 Cover image: Wheels of Change: How Women Rode the Bicycle to Freedom (With a Few Flat Tires Along the Way), by Sue Macy. Women and bicycling. There are many initiatives around promoting bicycle use by women. One of the earliest was by the Association of Pedestrian and Bicycle Professionals (Women Cycling Project). Now many local and state bicycle and alternative transportation organizations have women access initiatives. The Race Pace chain of bicycle shops in Greater Baltimore has had for many years a sub-store called Bella Bikes dedicated to women's cycling, within their Ellicott City location. Women and political power. While there is no doubt that men are a majority of the holders of elected office at all levels across the United States ("Why Does the US Still Have So Few Women in Office?," The Nation), increasingly, women are winning elections for mayor in cities around the country. DC's Muriel Bowser is one such example, but there are many others, including Houston, Salt Lake City, and in 2017, Seattle and Montreal. More and more women are being elected to City Councils, etc. Post the Trump victory, many more women are running for political office at all levels ("A year after the Women's March, a record number of women are running for office, will they win?," Washington Post; "More Than Twice As Many Women Are Running For Congress In 2018 Compared With 2016," NPR). Gender budgeting. Last year, the Economist ran a provocative editorial, "Why governments should introduce gender budgeting," building on an earlier article, "Why national budgets need to take gender into account." At its simplest, gender budgeting sets out to quantify how policies affect women and men differently (see article). That seemingly trivial step converts exhortation about treating women fairly into the coin of government: costs and benefits, and investments and returns. You don’t have to be a feminist to recognise, as Austria did, that the numbers show how lowering income tax on second earners will encourage women to join the labour force, boosting growth and tax revenues. Or that cuts to programmes designed to reduce domestic violence would be a false economy, because they would cost so much in medical treatment and lost workdays. As well as identifying opportunities and errors, gender budgeting brings women’s issues right to the heart of government, the ministry of finance. Governments routinely bat away sensible policies that lack a champion when the money is handed out. But if judgments about what makes sense for women (and the general good) are being formed within the finance ministry itself, then the battle is half-won. By not looking at the differential impacts of policy in terms of gender, bias is structured into outcomes. Last month, the San Carlos Cooperative equipped around 2,000 buses in Ecuador with a text message alarm system that responds to sexual harassment reports. When harassment occurs, victims can text ‘ACOSO’ (‘harassment’) to a designated number, along with the number of the bus they’re traveling on. The organization immediately notifies the driver, who makes a loudspeaker announcement. At the same time, police are called to board the bus at the next bus stop, and a psychologist reaches out to the victim. The issue of sexual harassment on public transport is particularly nightmarish in Latin America. But this is a global issue, too. Research suggests 80% of all women experience harassment on public transport, while 90% of these incidents go unreported. Which is why this innovation should act as yet another signal (as if you needed one) that Time’s Up. Because now, there are ever more ways to combat this scourge, right at the moment that it occurs. New technologies can shine powerful, cleansing lights into previously dark corners. And sometimes all it takes is a novel use of an existing channel, as we see here with SMS. It doesn’t matter where in the world you’re based, and no industry will be immune: consumers will expect you to take a proactive role in stopping and preventing sexual harassment. So if you’re not already discussing your response, then use this example to start that conversation. Today.